Issue: Multi-discharge hopper clean out for improved material flow. This customer reported coal build-up in the silo above the cone level pictured here. Some of the discharge chutes are plugged at the bottom of the cone causing material build-up and slower throughput when discharging material causing process issues with delays. This build-up also caused asymmetric flow that was damaging the silo wall. USA Silo Service deployed proprietary equipment to lower the coal material level, while forcing the residual material down and through open discharge points in the cone. As this was completed, a different proprietary machine was deployed to complete the cleaning process down into cone while avoiding any damage to the existing stainless steel cone liner. This photo above the cleaned hopper illustrates the discharge points which are completely free of coal material or build up. By eliminating this blockage, the facility process could return to maximum efficiency utilizing the bulk coal storage silo. 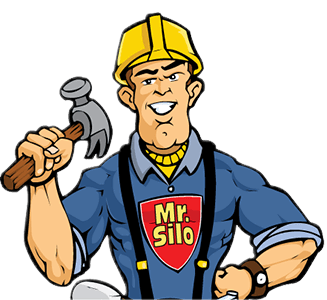 This project represents fast, professional services managed by the USA Silo project management and field crews using proprietary equipment and cleaning methods.